Sometimes, depression can turn into a really terrible thing. When we are depressed, we lose interest in this life, we tend to give up doing the things we like and stop taking pleasure from the things we usually find enjoyable. Many of us when feeling depressed give up taking a proper care about the body and health, forget about healthy nutrition and start eating lots and lots of junk foods. Undoubtedly, this can be very harmful to our digestive system and overall health. In addition, as the scientists say, eating fatty and junk foods is closely linked to increased risks of depression and very low chances to get out of this stressful and harmful condition. It is interesting that numerous studies have proven the fact that eating a double cheeseburger with a large size milkshake or a bucket of KFC fried chicken wings can not make you happier and will not help you get out of depression. One related study was carried out by a group of Spanish specialists who followed the diet and psychological condition of over 12,000 university graduates for over 6 years. They found out that increased trans fat consumption is directly linked to greater risks of stresses and depression, in contrast to consuming healthy Omega 3 fatty acids like the ones in olive oil. At the same time, experts at the University College London in England have published their findings revealing the connections between a regular fast food consumption and elevated risks of depression. According to this study, people who eat too much of trans fats and sugary foods have up to 58 per cent higher chances to suffer from depression than those who follow a healthy diet. 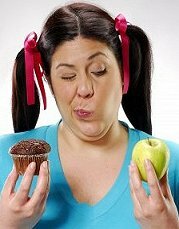 Increased junk food consumption causes heaviness, elevated blood sugar levels and extra weight that trigger depression. Lately, a group of specialists from Montreal have reported that consuming proper amounts of healthy Omega 3 fatty acids can actually decrease risks of being affected by stresses and depression. It is essential to keep in mind this valuable information in order to decrease the chances for our depression to be transformed into a chronic one. When we are depressed, we tend to forget about healthy nutrition and eat plenty of junk food that leads to more depression and apathy. To break out of this vicious circle, try to avoid consuming the foods high in trans fats and sugars. Certainly, it is not the diet alone which can help us start looking at this life at a more optimistic angle. “There seem to be various aspects of lifestyle such as taking exercise which also matter, but it appears that diet is playing an independent role,” Eric Brunner, one of the experts at the University College London, comments. Remember that junk food won’t make you happier, and the benefits of healthy nutrition are really important to your both physical and mental health.